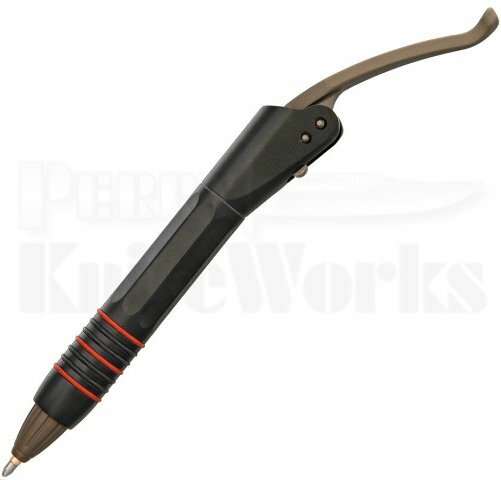 Microtech Siphon II Pen 4" closed. 5 3/4" with lever extended. OD green or Black finish stainless construction. Lever-action opening system extends pen tip when deployed. Anodized titanium lever. O-ring grips. Stainless pocket clip is marked with Microtech logo, model name, date of production, and serial number.